History of the electric vehicle began in the mid-1800s. An electrical vehicle held the vehicular land speed record until around 1900. The high cost and low top speed of electric vehicles compared to later internal combustion vehicles caused a worldwide decline in their use, and only relatively recently have they re-emerged into the public eye. Baker Motor Vehicle "was a manufacturer of Brass Era electric automobiles in Cleveland, Ohio from 1899 to 1914. The Baker factory was located on Euclid Avenue. The first Baker vehicle was a two seater with a selling price of US$ 850. One was sold to Thomas Edison as his first car." The Electric Vehicle Company: A Monopoly that Missed "Abstract: Attempts to monopolize the automobile industry began early in its history but were never successful because the industry possessed characteristics which made monopolization exceptionally difficult. The first of these efforts provide an illuminating example of business failure resulting from avoidable errors of judgment. The Electric Vehicle Company began its operations on the assumption that the electric automobile was going to be the dominant type; when this became demonstrably a bad guess, the company tried to compensate by using the Selden patent to collect royalties from the manufacturers of gasoline automobiles. This scheme likewise misfired, and the company collapsed into bankruptcy. The scheme also brought disaster to the Pope Manufacturing Company of Hartford, Connecticut, which abandoned a very promising position of leadership in the automobile field in order to participate in a highly speculative enterprise." Some EV History (very extensive) "a history of some of the makes, marques and movers in the history of on-road EVs. It is not intended to be as complete as some published works on the subject, and it is the result of my knowledge and researches, and those of others who have provided information to me. While it does not have the advantage of a publishing house's resources, it does have the advantage of being easily updated as more information becomes available. Contributions and corrections are welcomed. While the information presented here is correct to the best of my knowledge, I cannot accept any responsibility for any incorrect information that may appear here. 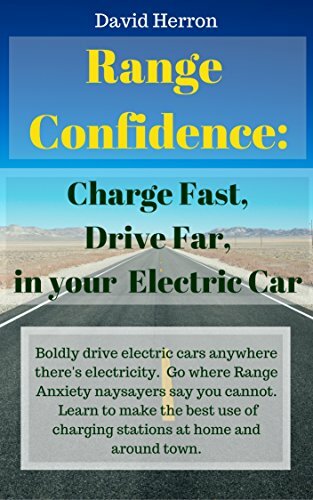 I hope it will be found helpful to those interested in EVs and what has gone before. While the main topic is on-road EVs, I reserve the right to stray off-topic as the mood strikes me. This document and its links are definitely a work in progress, as is the whole field of on-road EV development and acceptance. Many of the headings do not yet have text or other material to accompany them, which serve as reminders of how much is left to be done here."